Rug Doctor has the power to remove dirt and grime lurking in your carpets and upholstery. The results will leave your friends asking if you have got a brand new carpet. Watch our interview with Aggie MacKenzie about the importance of clean carpets for a healthy home. Rug Doctor’s innovative one-pass carpet clean gives you professional results every time. In this pass, our carpet cleaners use a unique three-step process – Injection, Agitation and Extraction – to transform and refresh old, tired looking carpets. There’ll be no back and forth cleaning action! 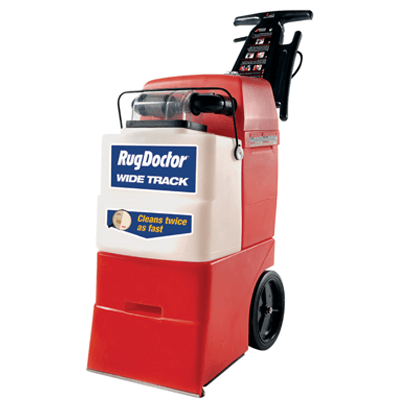 The Rug Doctor Wide Track is a professional quality carpet cleaner with a large capacity tank. This model is perfect for cleaning larger homes quickly, with less time spent emptying and refilling the machine. You can hire a Rug Doctor machine from outlets across the UK. The Rug Doctor Wide Track is available in major DIY chains and selected stores. Find your nearest outlet here! Both carpet cleaning machines offer the same professional cleaning power. The larger cleaning path and tank capacity of the Wide Track makes cleaning your carpets even quicker. We are a true world leader in carpet care – over 40 years have gone into refining our machines, which are now available in over 20 countries. We have been awarded the highest rating by the independent US Carpet & Rug Institute. This award covers dirt removal, water removal and carpet fibre retention. Our rental machines have received the Platinum Seal of Approval – the highest rating possible – from The Carpet and Rug Institute. Our powerful cleaning formulas are first mixed with hot tap water. 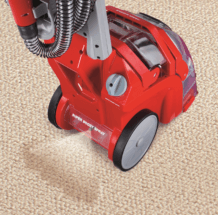 The machine injects the cleaning solution deep into the carpet pile for a truly deep carpet clean. 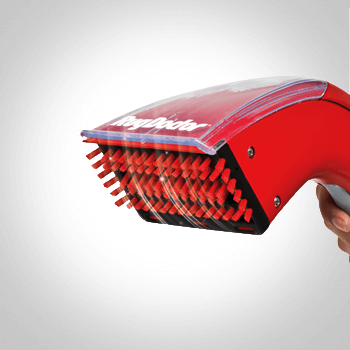 Our innovative vibrating brushes groom and polish your carpet. The oscillating motion helps to loosen tough ground-in dirt. 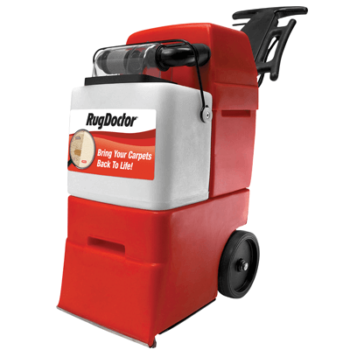 Rug Doctor’s powerful suction vacuum removes dirt and excessive moisture from your carpets. 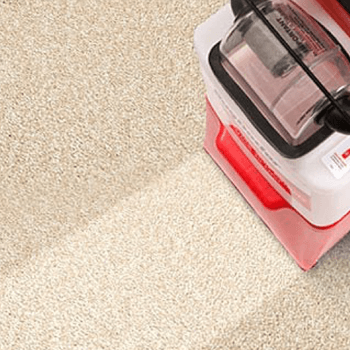 Dirt Removal – the exact level of dirt removed from the carpet, and the machine’s dirt removal efficiency. Water Removal – the level of moisture removed after a wet extraction process. Carpet Fibre Retention – the machine must not harm the carpet pile. Refresh your carpets with Rug Doctor!